Russian charter carrier Azur Air received its fifth single-aisle Boeing 737-800 aircraft. Like the airline’s previous aircraft of the type, which were put into operation in January this year, the new arrival seats 189 passengers in a single-class layout. According to open source data, the aircraft, VP-BYD, is 17.2 years old and was previously operated by Air China. The previously received airliner. also delivered in August 2017, has the same operational background. 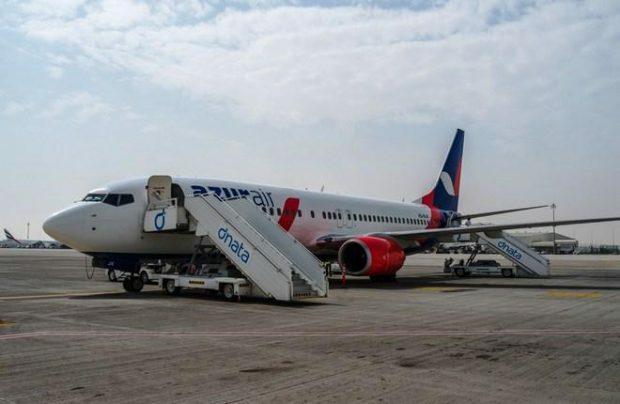 Earlier, Azur Air explained it decision to introduce the 737-800s by the need to optimize passenger services connecting Russian regions to resort destinations abroad. The operator is actively using the aircraft on its routes from Moscow and regional cities to Cyprus, Bulgaria, Greece Spain, Turkey, Tunisia, and the UAE. Its widebody fleet thus freed up is used on longer-haul routes. With the newly delivered airliner, Azur Air’s fleet now stands at 21 airframes. It also operates eight Boeing 757s and the same number of Boeing 767s. The carrier performs flights from 38 Russian cities to 38 international tourist destinations. Azur Air is presently Russia’s eighth largest carrier by passenger traffic. From January to June this year it carried 1.557 million passengers, up 82% on the first six months in 2016. The seat load factor grew 2.9 p.p. year-on-year, reaching 96.5%, and is one of the highest in the industry.